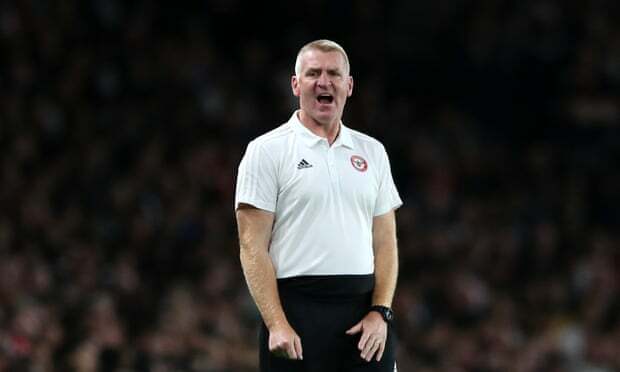 Aston Villa manager Dean Smith has said that he is expecting an improvement from the team when they face Bolton Wanderers in their home patch this weekend. The west Midlands outfit began with a victory under the guidance of new manager Smith but they have since succumbed to successive defeats at the hands of Norwich City and Queens Park Rangers. Speaking to reporters, Smith confirmed that there had been a team meeting held on how to arrest the concern and he is optimistic the ideas can be put into play when the Trotters make the trip to Villa Park, he said: “We did a debrief on Monday and spoke about some things we can do better but we also spoke about the positives. The players are really receptive, get involved in discussion. I've said before I want them to take responsibility and become responsible and some of the points they brought forward were really good and will help us as a group moving forward. On the training ground it has been very good. They are a good group who want to get better."